Want to be notified of new releases in kheyer/Genomic-ULMFiT? This is an implementation of ULMFiT for genomics classification using Pytorch and Fastai. The model architecture used is based on the AWD-LSTM model, consisting of an embedding, three LSTM layers, and a final set of linear layers. This method is particularly advantageous for genomic data, where large amounts of unlabeled data is abundant and labeled data is scarce. The ULMFiT approach allows us to train a model on a large, unlabeled genomic corpus in an unsupervised fashion. The pre-trained language model serves as a feature extractor for parsing genomic data. Typical deep learning approaches to genomics classification are highly restricted to whatever labeled data is available. 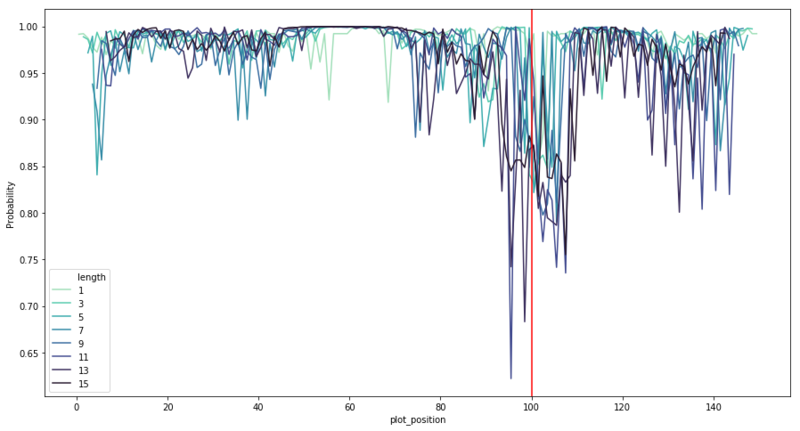 Models are usually trained from scratch on small datasets, leading to problems with overfitting. When unsupervised pre-training is used, it is typically done only on the classification dataset or on synthetically generated data. The Genomic-ULMFiT approach uses genome scale corpuses for pretraining to produce better feature extractors than we would get by training only on the classification corpus. This table shows results on data from Recognition of prokaryotic and eukaryotic promoters using convolutional deep learning neural networks. These results show how CNN based methods can sometimes perform better when training on small datasets. Genomic-ULMFiT shows improved performance on the metagenomics taxonomic dataset from Deep learning models for bacteria taxonomic classification of metagenomic data. When trained on a dataset of mammalian enhancer sequences from Enhancer Identification using Transfer and Adversarial Deep Learning of DNA Sequences, Genomic_ULMFiT improves on results from Cohn et al. This table shows results for training a classification model on a dataset of coding mRNA sequences and long noncoding RNA (lncRNA) sequences. The dataset comes from A deep recurrent neural network discovers complex biological rules to decipher RNA protein-coding potential by Hill et al. The dataset contains two test sets - a standard test set and a challenge test set. One way to gain insight into how the classification model makes decisions is to perturb regions of a given input sequence to see how changing different regions of the sequence impact the classification result. This allows us to create plots like the one below, highlighting important sequence regions for classification. In the plot below, the red line corresponds to a true transcripotion start site. The plot shows how prediction results are sensitive to changes around that location. More detail on interpretations can be found in the Model Interpretations directory. There are a number of other genomic classification domains I intend to explore when time permits. I'm planning on doing a more structured literature review of deep learning for genomic classification and how they compare to Genomic_ULMFiT. For now, here are links to relevant papers.